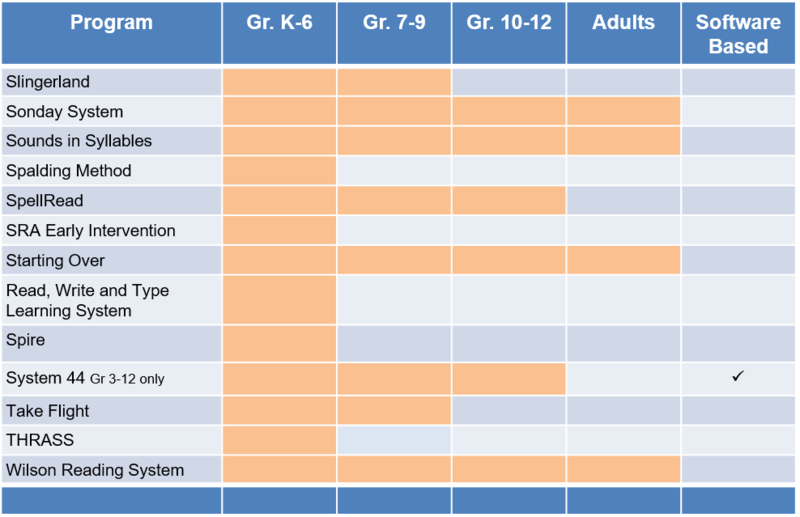 Many reading programs designed for students with dyslexia, particularly those in the United States, are based on something called the Orton Gillingham approach. Samuel Orton was an American neuro-psychiatrist and pathologist who initially studied adults with brain damage but went on to study children with reading disabilities. He made the startling discovery that children being referred to him as retarded (because of their struggle with reading) had normal or even above average IQ scores. As early as the 1920s, Orton helped pioneer the concept of "multisensory" teaching which integrates kinesthetic (movement), tactile (touch), visual and auditory learning into the reading process. For example, having students write in the air or trace oversize letters, while simultaneously saying the names and sounds of the letters. Orton theorized (correctly) that by integrating right and left brain functions, reading ability would improve. Luckily for Orton he later began working with the very talented teacher and psychologist Anna Gillingham who brought his educational ideas to life by developing a detailed multisensory reading program for students. 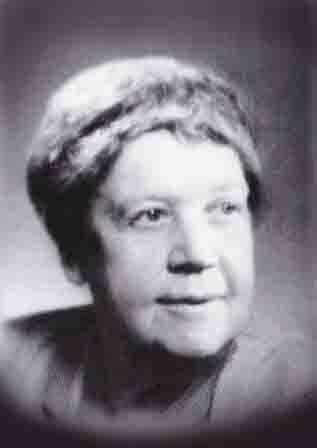 Based on her knowledge of language structure, Gillingham literally wrote the Orton Gillingham manual which included the systematic and explicit teaching of sounds (phonemes), prefixes, suffixes and roots (morphemes) and common spelling rules. Entitled Remedial Training for Children with Specific Disability in Reading, Spelling and Penmanship, the first Orton Gillingham manual was published in 1935-36 and is still regularly updated and re-published today. Seeing similarities between behaviours he observed in brain injured adults and the brain healthy young children (such as being ambidextrous), Orton suspected that the reading problems were not only neurological in origin, but were a result of a failure of the left side of the brain to dominate over the right in the process of reading. He would later be proven correct on both points! Below is a summary of the detailed description of the Orton Gillingham method, as provided at the Academy's website. Recognizes the individual needs of learners. While dyslexic students share similarities, there are always differences between students. 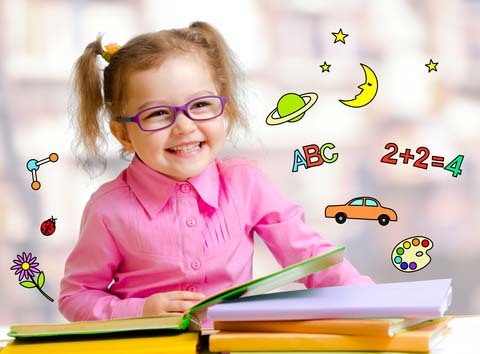 Dyslexics students often have additional problems that complicate learning such as attention deficit hyperactivity disorder (ADHD) or dysgraphia. Uses all the learning strands: seeing, hearing, feeling (tactile), and awareness of motion (kinesthetic). For example, letters can be written in the air while the sound is said aloud. Even math can be multisensory! It is diagnostic in the sense that the instructor continuously monitors the verbal, non-verbal, and written responses of the student in order to understand both the student’s challenges and progress. This information is used to plan the next lesson. That lesson is prescriptive in the sense that it is designed to help resolve the student’s difficulties and build upon the student’s progress noted in the previous lesson. Lesson content includes explaining to students what is to be learned, why it is to be learned, and how it is to be learned. The largest chain of reading tutoring centers in the world uses the Orton Gillingham approach. See our page on the Scottish Rite. It uses systematic phonics, stressing the 'alphabetic principle' in the initial stages of reading development. The principle teaches that words are made up of individual speech sounds, and the letters of written words graphically represent those speech sounds. Formally teaches syllabic, morphemic, syntactic, semantic, and grammatical structures of language and writing. Involves the student in integrative practices that involve reading, spelling, and writing together. Stresses language patterns that determine word order and sentence structure and the meaning of words and phrases. Also examines common patterns and literary forms employed by writers. Information is presented in an ordered way that indicates the relationship between the material currently being taught and material previously taught. 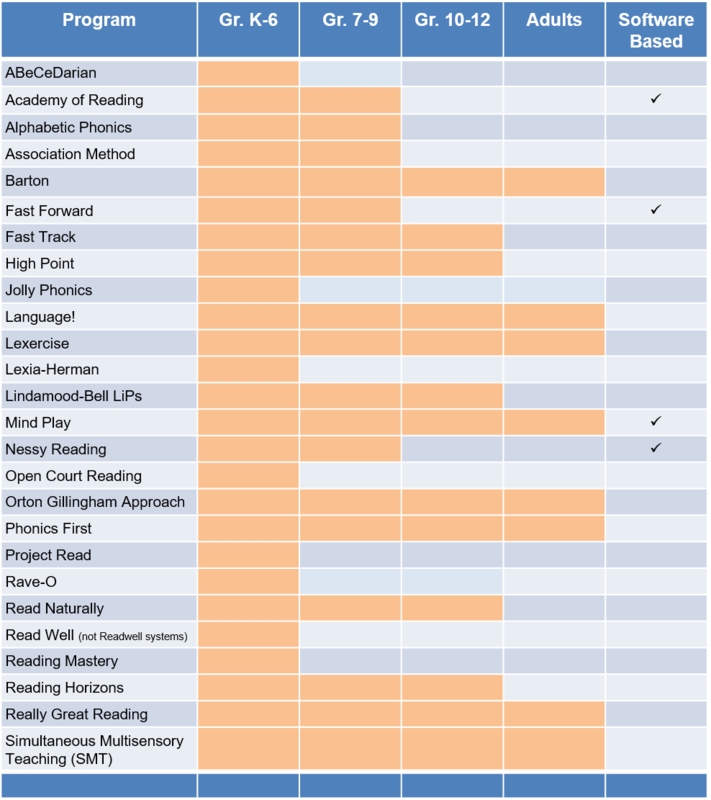 A literature review of research on OG systems for elementary students. A PhD study on the effectiveness of an OG system for high school students. Learners move from the simple, well-learned material to the more complex, only after mastering each step along the way. A close teacher-student relationship that builds self-confidence based on success and mastery. Students understand the what why and how of the learning process. Confidence is gained as they improve their ability to apply new knowledge about the learning process itself. Teaching is directed toward providing the success. With mastery comes increased self-confidence and motivation. 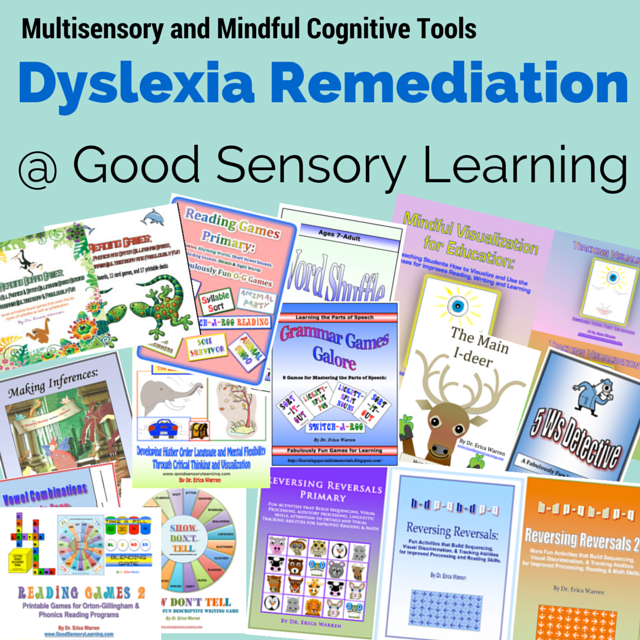 Difficulty with phonemes is at the heart of dyslexia and so not surprisingly, the teaching of the specific sounds of language and the ability to parse or segment words into their constituent sounds is an integral part of the OG curriculum. Teaching phonological awareness does not have to involve text, just the voice and the ear. The student should be able to distinguish and reproduce the fundamental sounds of the language. Students must learn to associate the sounds with the letters (graphemes) that represent them. This is a two way street, wherein students have to be able to read the letter and make the sound and hear the sound and then draw the letter. Naturally, this skill is then extended into two letter blends, (digraphs) and then longer blends and syllables. To read without comprehending is not to read at all, and so semantics, or the comprehension of the written text, is critical. It is shockingly common for weak readers to slog through text only to arrive at the end and have no idea what they just read. Instruction must include the teaching of basic syllables and syllable division rules. Types of syllables include closed, vowel-consonant-e, open, consonant-le, r-controlled and diphthongs. How to order words in a sentence is taught explicitly through the study of grammar, sentence structure and good writing practices. The study of root words, prefixes and suffixes with an aim to to understand how words can be built up and manipulated to change their meaning. In 1995 the Academy of Orton Gillingham Practitioners and Educators was established in Amenia, New York to to certify teachers and to accredit training programs that meet instructional standards consistent with the Orton Gillingham method and content described above. The Academy traces its origins to discussions in 1991 at the Orton Dyslexia Society (later to become the International Dyslexia Association) about how to better to serve persons with dyslexia, fellow professionals, and the public interest. At present (April, 2017) there are only thirteen schools in the United States that sport accredited Orton Gillingham training programs for their teachers. For a fee, schools may also offer training to teachers from outside the school. Are these the best U.S. schools for dyslexics? Unfortunately, it's not that simple. All things being equal, it's better for a school to employ a proven approach, like OG in their reading and language program, but alone it doesn't guarantee success. Nonetheless we endorse the method. It is fine to experiment with new teaching tools and techniques, but keep the core of your child's instruction under a proven system. As long as your school or tutor is using an 'OG like' or 'OG equivalent' system the instruction may be excellent, even if the tutor, school or program is not formally accredited, but be sure to investigate exactly what is going on in the classroom, as they may be OG in name only. 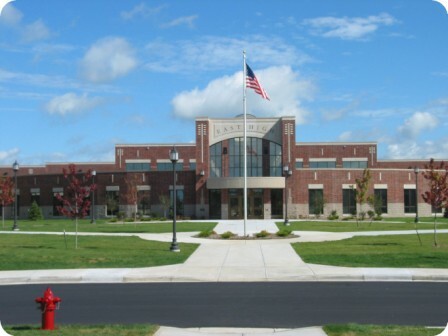 For a complete list of U.S. schools for dyslexic students, including those above, click here. Lindamood-Bell programs are a bit of an anomaly in the world of dyslexic teaching. Unlike other programs, they do not sell, franchise or license providers to deliver their instructional material. Instead, they have over 65 of their own Learning Centers, spanning several continents. In theory, the centers allow them to provide a consistent, quality controlled teaching process. They are not an Orton Gillingham based approach. Their method is based on a 'theory of cognition' which focuses on the process, rather than the subject and serves a broader audience than just dyslexic children (including autism spectrum disorders for example) but their approach contains many similar best practices and is defended by a body of research, including third party studies. The Davis Method. According to Ron Davis' theory, dyslexia is a mental gift or talent. He believes that dyslexics think in pictures and therefore have particular difficulty with words that cannot be envisioned such as 'the' or 'to' and that this can lead to 'disorientation'. Forming words in clay is one of their remediation techniques to resolve the disorientation. The Davis system has been criticized for ignoring modern research and brain science that has confirmed that dyslexia is primarily an auditory processing problem, distinguished by difficulties with phoneme manipulation. Similarly there is no research demonstrating that dyslexia imparts significant gifts or that the use of clay to form words helps improve reading. 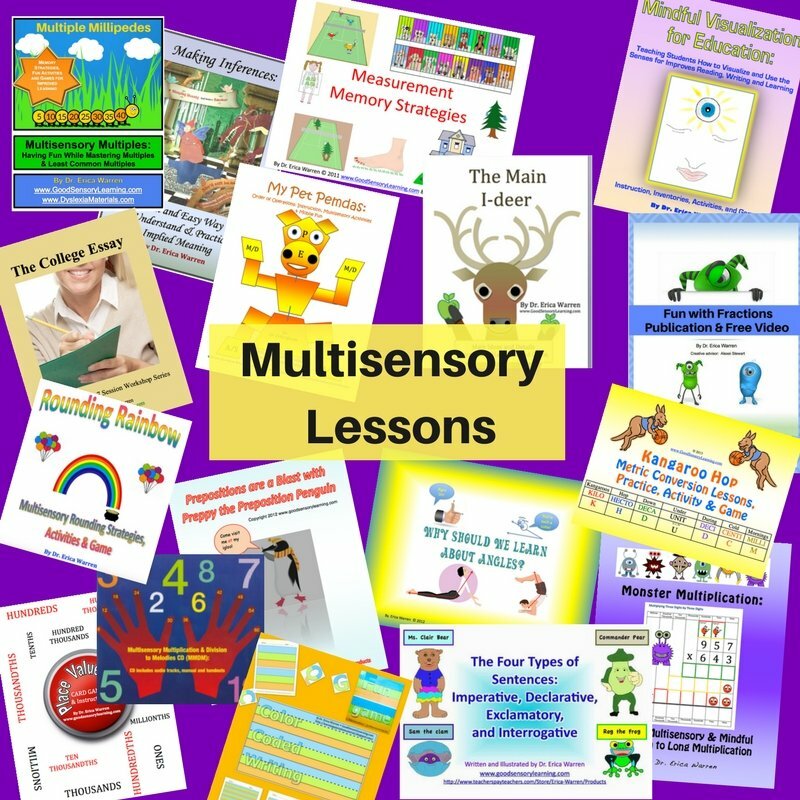 The International Multi-sensory Structured Language Education Council (IMSLEC) accredits Multi-sensory Structured Language Education (MSLE) training courses internationally, but they do not endorse or accredit any specific reading method or program, nor do they train individuals. However, training courses accredited by IMSLEC must share certain teaching characteristics: multisensory, explicit, direct, cumulative and intensive instruction with attention to the structure of the language. The term MSLE was adopted by the International Dyslexia Association as a generic designation of the shared characteristics of well-known Orton Gillingham based approaches to teaching reading and language skills. MSLE certification is also available through the Academy of Orton Gillingham, thus the accreditation is almost one and the same. It is remarkable that a reading system developed in the 1930s is still relevant in the information age, but it remains one of the most reliable methods for teaching dyslexic students to read by focusing on the core problem of phoneme manipulation, applying multisensory techniques (auditory, visual, tacticle and kinesthetic) and teaching in a highly structured way. We suggest sticking with an OG based reading system for most of your instruction.